OnePlus 3: 8 Things You Should Know About This Flagship Killer! The most talked about handset of 2016, OnePlus 3, was finally launched yesterday through Online Virtual Reality event. However, the excitement had already died down before the event started, because of numerous leaks that happened yesterday throughout the day. Most of the users already knew about OnePlus 3 specifications before the launch event, thanks to these leaks. Nevertheless, OnePlus 3 is undoubtedly one of the best smartphones to be launched by the Chinese company. It not only boasts top-notch specifications but also great looks to go with it. 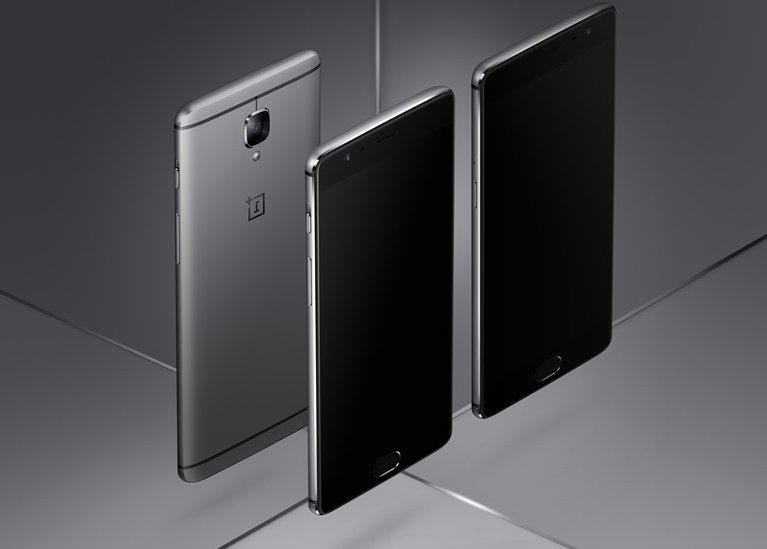 OnePlus 3 is definitely a gorgeous looking phones thanks to all-metal unibody, carved from a single slab of space-grade aluminum alloy. The soft curved edges on the side definitely add to the aesthetics of the phone. And yes, at 7.3mm, it is one of the thinnest flagships ever! OnePlus 3 comes with 5.5-inch 1080p Optic AMOLED display with smallest of bezels. While the screen may not matchup with Samsung’s Galaxy S7 Super AMOLED, it is still one of the best out there! Dash Charge is OnePlus’ way of saying fast charging and they have coined a interesting phrase for it “A day’s power in half an hour”. What it essentially means is the OnePlus 3 battery can be charged from Zero to 60 percent in just 30 minutes. And in normal use, that much juice should last you through the day based on their 3000 mAh battery. OnePlus 3 is powered by top-of-the-line Qualcomm Snapdragon 820 processor – This popular 64-bit chip features two 2.2GHz cores paired with two 1.6GHz cores and an Adreno 530 GPU. Coupled with humongous 6GB ram, it has enough horsepower to tackle anything you throw at it with ease! Company claims that OnePlus 3 performs tasks 35% faster than the OnePlus 2 and features a 40% boost in graphical power – all at a fraction of the power consumption! While we have not done any hands on tests ourselves – Camera is one area where OnePlus 3 should have excelled more than what they have done. While camera shoots great images, it does not seem to have the same WOW factor that probably a Samsung flagship has. Again, this in no way suggests that OnePlus 3 has a bad camera – it just means that there are a few flagship smartphones that do better! The phone supports 4G LTE (Cat. 6), Wi-Fi 802.11 a/b/g/n/ac, Bluetooth 4.2 and even NFC , which was absent in its predecessor. Along with the phone it self, OnePlus has launched number of accessories to spruce up your OnePlus 3 even further. Some of the accessories include Snap-on rear case in variations of Karbon, Bamboo, Rosewood or black apricot, a sandstone case, a flip cover in black, gray or sand, a tempered glass screen protector, a Dash Charge USB Type-C cable, a Dash Charge power adaptor and a Dash Charge car charger. The Graphite variant of the OnePlus 3 is available exclusively on Amazon.in, 12:30am onwards starting today, (June 15) for INR 27,999/- whereas the Soft Gold variant will be launched in the near future. Additionally, fans can see for themselves how the OnePlus 3 is creating a better smartphone experience by visiting one of three pop-up stores located at The Collective in New Delhi (June 15), The Collective in Mumbai (June 17) and Indelust in Bangalore (June 18). "OnePlus 3 Launched: 8 Things You Should Know About This Flagship Killer! ", 1 out of 5 based on 5 ratings.